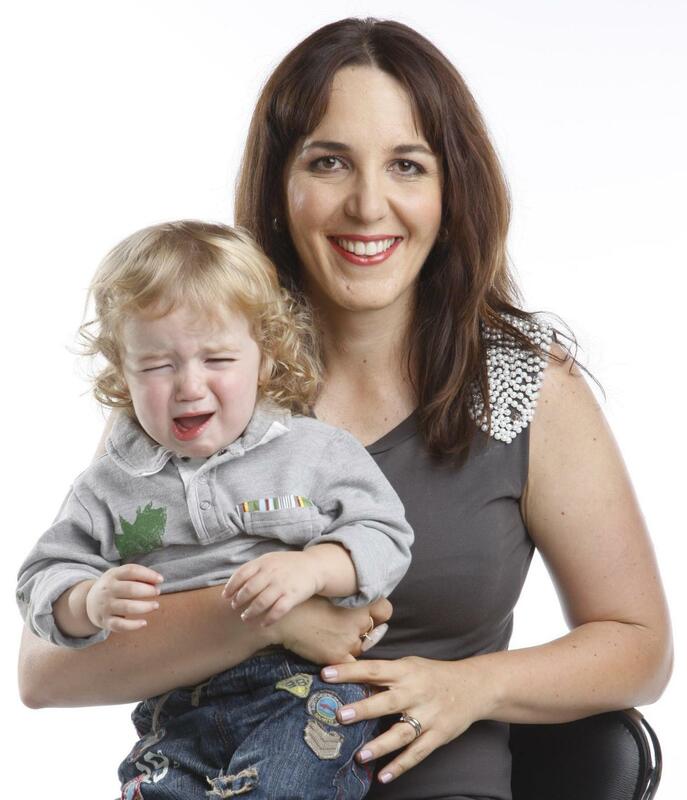 After being on shoots for Living & Loving I realise that kids get grumpy, tired and “uncooperative” on shoots. What I wasn’t counting on at our mommy blogger and ed’s pic shoot last weekend is that you would become one of “those” – the kid who just wasn’t having it, or buying into the new outfit, lights, studio and camera. In fact, you hated almost every moment, and if it weren’t for the five people jumping up and down in front of the camera, singing, calling and playing music, we might never have got the shots we needed. As these things go (ie Murphy’s Bloody Law), you were niggly in the morning even before the shoot, and when you arrived at the shoot, I was having hair and makeup done, and didn’t want to leave my side, which was challenging with all your and my outfit changes. It was hot, you were bothered, and no amount of Flings or milk in a bottle could keep you happy for long. But I had to include the pic that won’t make the magazine… I think you’ll see why. Afterwards, once you were out the clothes, you ran around the studio in your nappy, dancing to music, charming everyone and even crashing the next shoot when you went to sit with the next mommy and child when they were being shot. Too cute you are. Reminds me of Ava’s birthday party… prof photog and all and Ms Ava was sick & as grumpy as sin and it made me SUPER anxious! Glad u got the shots you needed in the end tho.